Today marks the fourth anniversary of the best decision of my life so far – to embark on the sacred journey of marriage with Lauren Ann Schlenger Hirsh. 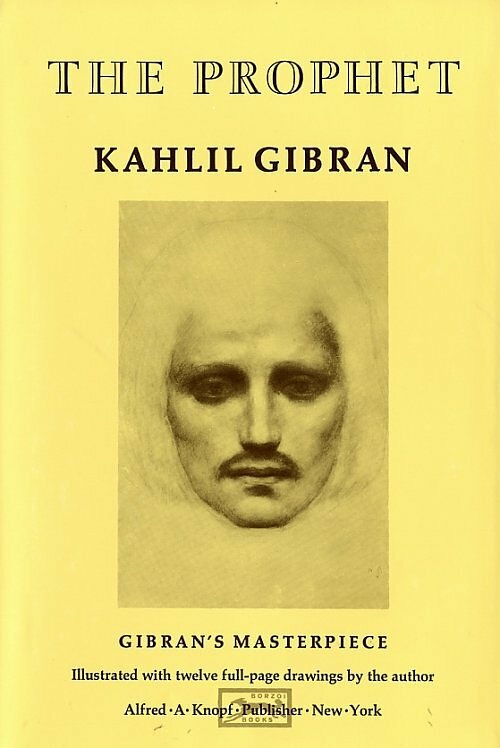 Early in our courtship, Lauren gifted me a copy of Kahlil Gibran’s 1923 classic, The Prophet. Part of her inscription to me reads “Few books have touched me so deeply as The Prophet. The very act of reading Gibran’s words is like uttering a prayer. It has been the same way with loving you.” We carried this idea of poetry-as-prayer forward a few years, when preparing for our wedding ceremony. Though Lauren is not a musician by training, she has the soul of one (and is certainly a gifted artist in other media). We thought it would be both fun and meaningful to compose a song together for the ceremony, and it became obvious rather quickly that we should set some of our favorite parts of The Prophet to music (specifically, excerpts from “On Love” and “On Marriage”). So many aspects of our lives were woven together in this collaboration. To this day I maintain that we truly did co-compose as equals, with me suggesting ideas for the rhythmic and melodic trajectories of text at the piano, and Lauren giving lots of feedback on those choices. We wrote the song for three (count ’em, three!) sopranos, as both of my sisters, Rachel and Rebekah, are lovely singers, as well as my college BFF, Catherine Jones. Another college friend, Yuri Broze, played piano at the ceremony, while Lauren and I stood watching, teary eyed, in front of my parents’ farmhouse in rural Chapel Hill on a beautiful fall day in October of 2009. A few months later, I brought Rachel, Rebekah, and Catherine into the profoundly magical acoustic space of Zenph founder John Q Walker’s recital hall to make a recording of this composition for posterity. But I have been sitting on the raw tracks for years, never finding time to mix and master the performance. So, Lauren, today I gift you with the completion and publication of our first, but definitely not last, song together. We titled it “Orphalese,” for the city from which the prophet delivers parting words of wisdom to his community. And for all you music-types out there, here is the score, should you want to study it or even perform it. On a professional note, I think this is some of my better arranging and engraving for classical piano. So far at least. I am ever a student of the craft. Love you, babe! Happy anniversary! This means the world to me. Thank you! Eric – this is simply magnificent. My husband and I had both of these verses read at our wedding as well. Thank you for posting and sharing. Brilliant…? ?